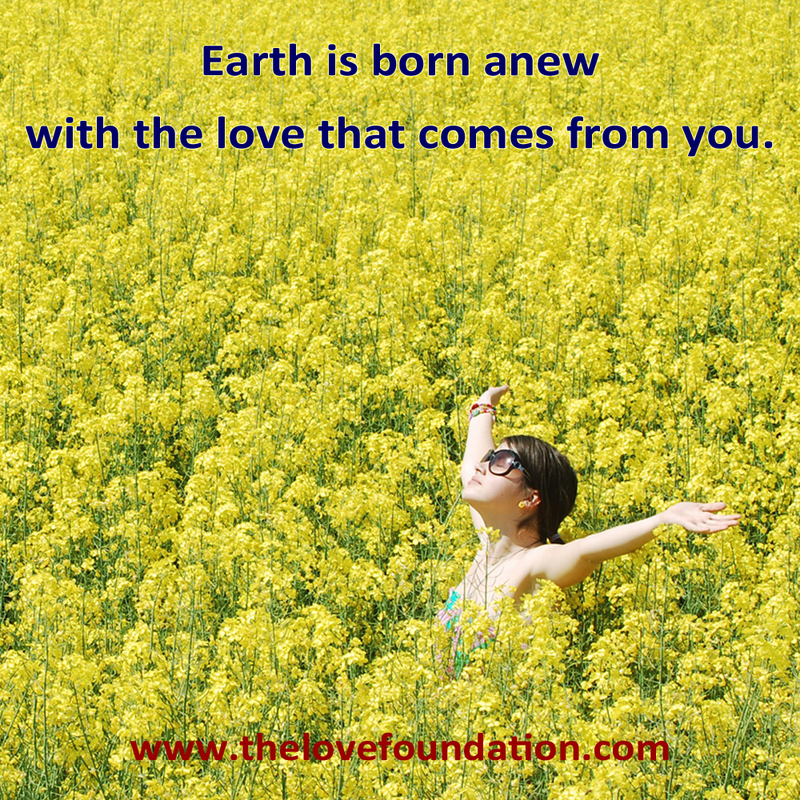 When we recognize our innate love, wisdom and power, we become the conscious and privileged custodians of our wondrous earth. This orb is more than just our home; it is a vast, interactive and amazing classroom of incredible proportions. Global consciousness begins with love along with our creative expressions to ease the suffering we have inflicted through ignorance and will over eons of time. We have the opportunity now to reverse this in a blink of an eye... just come from love. As we develop this page, we intend to share universal wisdom and ideas that relate to our journey on this earth and our interaction with the animals, plants and minerals. Return back often as we add new information with this in mind. that we may know our true nature. Decided that this was insanity. while my core remained quite undetectable. the aunts and the preachers,. as the halo constricted my head. "This is me, I'm an earthchild" I said. and discovered my own embryo. You were primitive, I was teaching you the art of living. I have supported and covered you in the early eras. So, what are you waiting for reconciling? on Harmonics as the Gift of LOVE? embraced by Divine Grace & Love. and the gift of love that each being has to share. Perhaps then, for each of us, the true miracle lies in our willingness to allow, appreciate, and honor the uniqueness, and freedom of each sentient being to sing the song of their heart. And these songs, so glorious, simple, and profound create a new Harmonic Rhythm of Divine Grace which gives us a pathway HOME. Home is Heaven On Mother Earth. Every sentient being has a sound that contributes to the Harmonics of Love into Infinity. Silence too is a sound. create the symphonic movements of Time. to announce Mother Earth’s hurt and anger at our disregard for our Oneness. Is it possible that we desire to journey into the pathway of the Uni-Verse? to receive, and give the gift of LOVE? My Beloveds, the Conductor is waiting, the time to join the Uni-Versal Orchestra is NOW. When we go outside we hear the rush of traffic, we hear the sirens of fire trucks, we hear the cry of a baby, yet do we hear the silent call of nature? 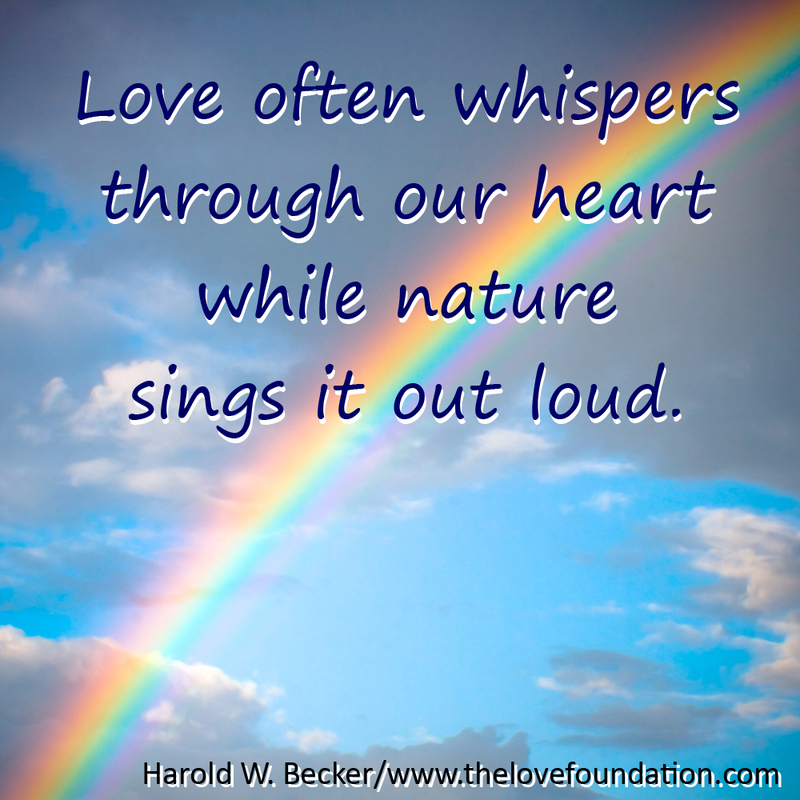 If we listen really close we can expect to hear the subtle call of nature's great concern. You see as you are all aware, we have been toxic dumping in our rivers, streams and oceans. This water gets recycled and is the same water that rains on our vegetative crops. We can find these vegetables in our local grocery store. The next time you sit down to eat a meal with life-giving vegetables, just remember the impure water, air and soil they have grown in. I don't tell you this to scare you. I tell you this to inform and motivate you. I challenge each one of you to take personal responsibility and action for doing one thing to significantly help this precious and deprived planet. I say deprived as we starve of vitals of life which include clean air, clean water and clean soil. and the rain clouds that suddenly appear. and the sweltering heat of a summer’s day. in the open sky of the evening’s calm. that you are reading to your true love. and the anguish of a broken heart. that brings her back home every time. and what you see when you look within. and your last thought before sleep. and the sorrow of the loss of a loved one. and the trust that it will bring something greater. You Remember to notice Beauty in Everyone you Meet...."
In different disguises, always forward. With my thoughts and words. On the edge of the Age of Fire. I took my starry staff from the Universe,? To help people be free was my desire. So that they could spread their winged thoughts, And trust their “Divine Self”. And, like the Sun, the Earth would shine. And wake suddenly, a Goddess. Par son centre de gravit? Des ?tres humains ? H?tes passagers ? themselves out. It is ready. 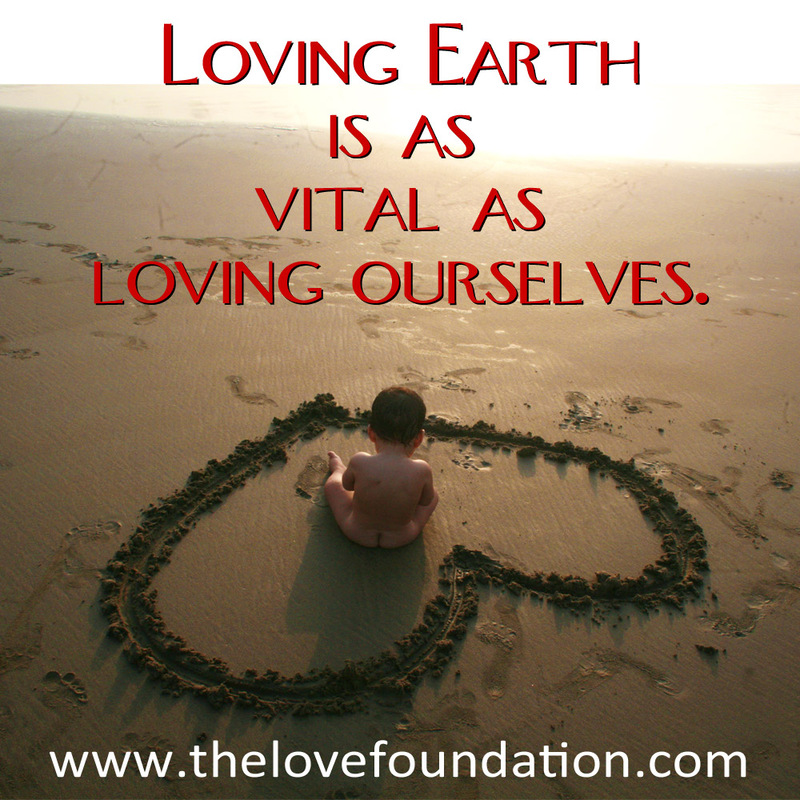 Do you have a loving idea or understanding about our living earth that you want to share? From our human friends at International Dolphin Watch and Dolphin Friends, Dr. Horace Dobbs and Jackie Connell with their fellow volunteers, keep us aware of our wondrous ocean friends, the dolphins and whales. These intelligent and magnificent creatures clearly reflect our planetary issues while embodying an innate loving presence.